Happy 70, Camilla - many happy returns! Nice photo - they look great. Very nice picture, both look terrific but I do believe Charles has been photoshopped. Of course they both have been photoshopped and I think this is not unusual for such an occasion. But nobody can photoshop their characters and their past. 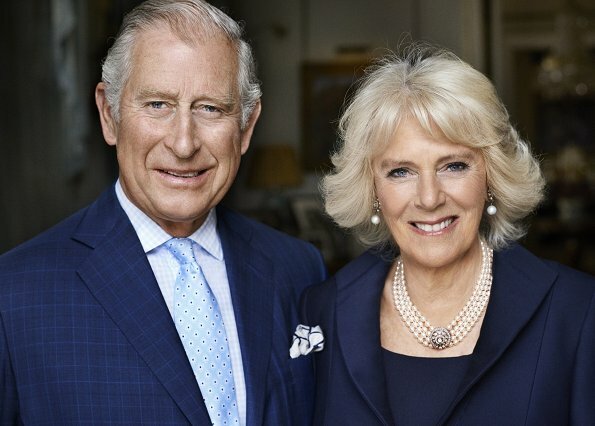 Very nice picture, both look terrific, but I do belive Charles has been photoshopped. Happy Birthday to Duchess Camilla! What a nice couple they are! That is a SERIOUSLY air brushed and photo shopped picture. In their dreams they look like that! I think they look great. I realize the photos have been photoshopped but most formal photos are so whatever. Camilla looks gorgeous. Linda K - I think the same! And...a little photoshopping never hurt:-) we all do! Me too...I think they look great. All professional photos are touched up. Why take the photograph if it doesn't capture the essence of the person ! A little tweaking here and there,can be forgiven but this is way too obvious and not a true representation of how they truly look. Agree. They look like waxwork figures. Why is there a need to photoshop? It is an insult. They are senior people with lines on their faces. I have never liked Testino's photographs. They really do not depict people as they are, but what they should be. Yes, agree Heather, they look like waxwork figures.